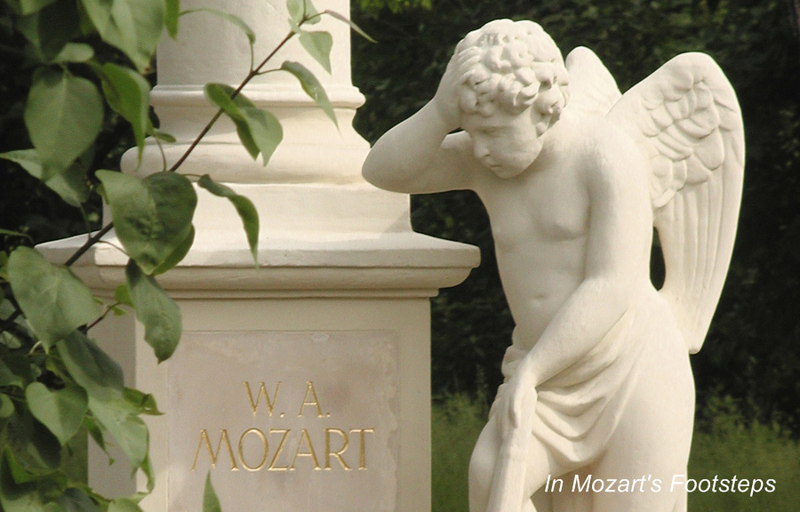 Standing in front of Beethoven’s grave in Vienna’s Central Cemetery is a moving experience. You will see this on the trip. The Alps just east of Salzburg. 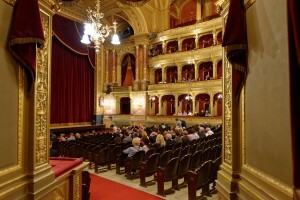 You will stand on the spot this photo was taken during the “Sound of Music” tour. Please read the “Information about the Performances on the Itinerary” on the Terms and Conditions page. 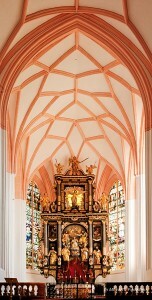 Salzburg Cathedral. 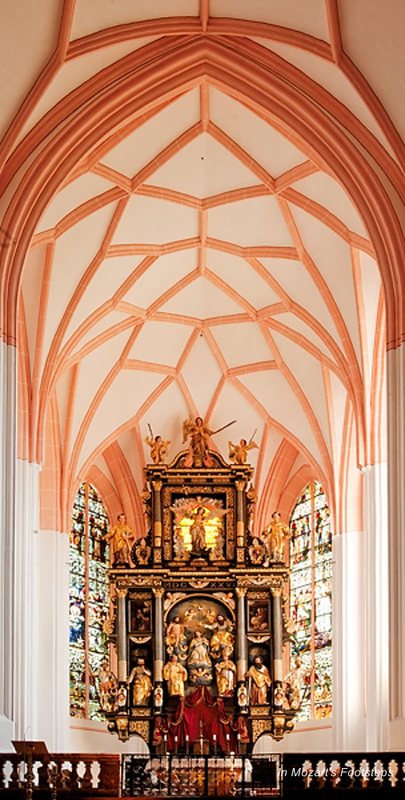 We’ll attend mass here that includes an excellent choral performance. At least two meals a day (breakfast and lunch, or breakfast and dinner); drinks not included. 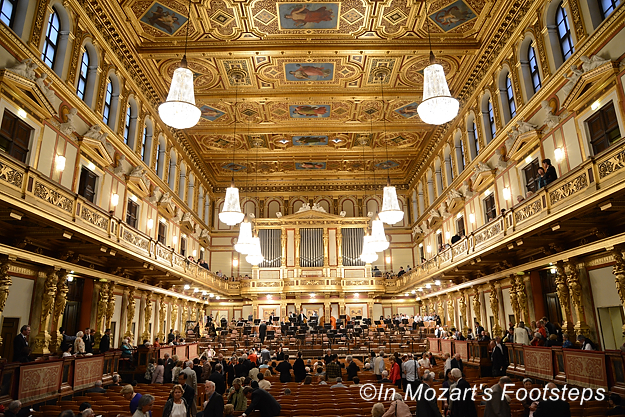 Vienna’s Musikverein, one of the most historic concert halls in the world. We’ll attend a concert there. 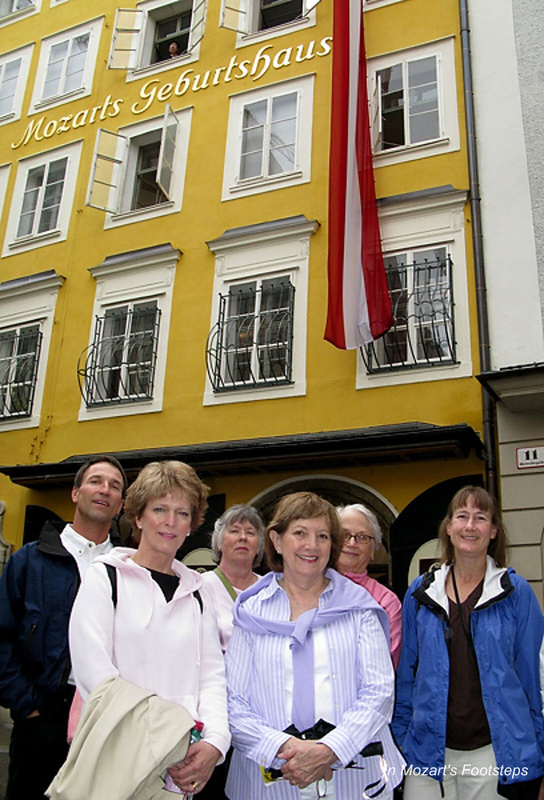 A shorter itinerary, at a lesser price, is also possible by joining us in Salzburg and Vienna or in Vienna and Budapest. Contact In Mozart’s Footsteps for more details. Fly to Europe (overnight if you are leaving from North America). 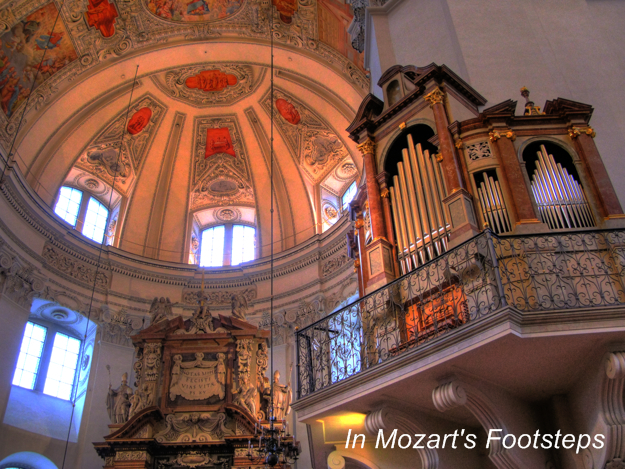 You can also travel to Salzburg a day or so earlier. Just let David Nelson know and he can arrange for your room in the group hotel. Dinner Concert at Peterskeller. 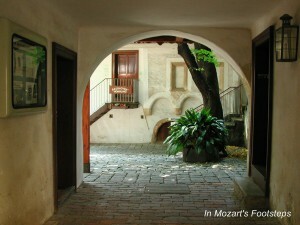 This is a delightful evening at the oldest restaurant in Europe and features a chamber orchestra and operatic arias by Mozart. 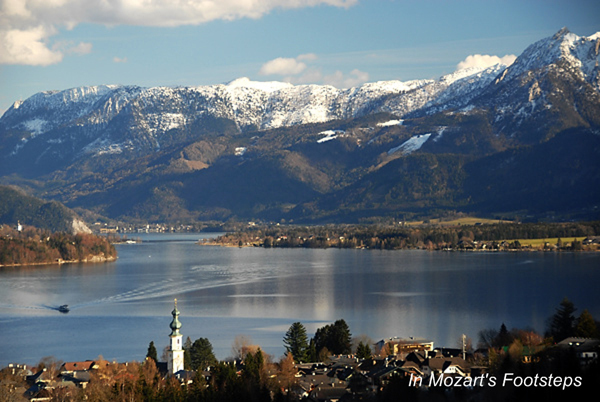 We will visit Mondsee Cathedral near Salzburg. This is where the wedding scene in “The Sound of Music” was filmed. 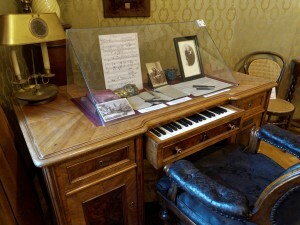 In the Franz Liszt Museum in Budapest, we will see this interesting desk with a built-in piano. 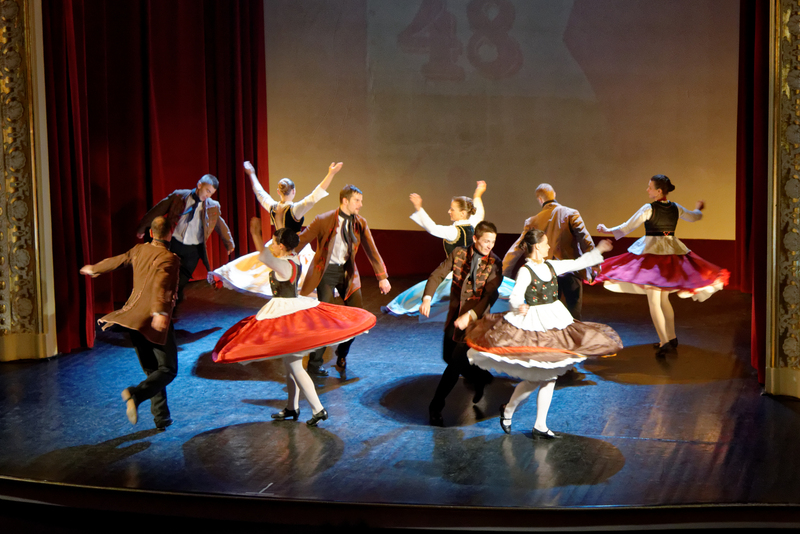 We will attend an evening of Hungarian Music and Dance. $3895 per person, double occupancy. Travelers have the option of a shorter trip, probably 9 nights, at a reduced cost. Contact In Mozart’s Footsteps for more information. A guaranteed single room is available. The single supplement is $600. For those traveling alone, you may be placed in a double room with another person of the same gender traveling alone. Depending on who signs up for the trip, you may be in a double or a single room, and will still pay the double-occupancy price. The only guaranteed single rooms are for those paying the single supplement. Go here to book your trip. Be sure to choose the options you want on the “Which Trip” menu.